The mall was once the spot to find and shop for the latest products from various brands or just spend the day hanging out. In 2017, however, it’s a different story. A Google search will provide a growing list of headlines about malls being in trouble, shutting down, and needing to get creative to survive. Over two dozen American malls have shut down from 2011-2015 and in the next five years it is expected that an additional 20% to 25% are expected to close, according to a report by Credit Suisse. The decline of malls is so common that it even sparked a YouTube Series called “The Dead Mall Series”, which takes users on a sad, yet intriguing trip inside failed malls and retailers that are nothing but a shell of what they once were. The negative effect on malls is accredited to the constant closings of the retailers which reside within them. It can be surprising to see brands which have hundreds of locations nationwide, or even globally, suddenly reduce in size or go out of business altogether. What exactly went wrong to cause a company with a massive presence to suffer? One of the most well-known examples of a business’ decline is Blockbuster. The once popular video rental store fell into a steep downturn between 2003 and 2005 when it lost 75% of its market value, eventually filling for bankruptcy when Netflix swooped in to re-invent the movie-renting game. (Fun fact: There are still 12 Blockbuster locations open.) Now these types of closings are occurring much more frequently. This year companies like Sears Holdings, which owns Sears and Kmart, will have over 300 of its stores close, J.C. Penny is expected to close 138 locations, and Macy’s will close 68 of its stores. What Customers Are Looking For. The consumer’s shopping patterns have evolved with the internet playing a major role in the behavior change. According to a Pew Research Center survey, eight-in-ten Americans are now online shoppers. The convenience provided by the internet is extremely attractive. With an endless supply of choices online, it is so easy to shop from home, have the items delivered right to your door, and send them back if they don’t satisfy. But even though everyone can appreciate the beauty of e-commerce, Americans have not completely ruled out brick-and-mortar stores, with 64% indicating that they prefer to buy from a physical store. In fact, with the massive amount of retail closures, there will actually be more stores opening in 2017, according to another IHL Group report. In this digital age, what would convince a shopper to spend time driving to a physical store rather than visiting an online store from their laptop? For one, it can be the type of product a retailer sells. Take for instance the makeup industry, which has exploded in popularity over recent years thanks to gurus posting reviews and tutorials on Instagram and YouTube and brands partnering with celebrities to further propel the hype. Watching someone apply concealers, eyeshadows, and lipsticks online to create a specific look can inspire the viewer to purchase those same products to re-create what they have seen online. But makeup is so specific to the person who is using it that it easily becomes personal – a foundation shade which looks fantastic on a makeup guru through a computer screen can appear completely different on the person watching once they apply it. 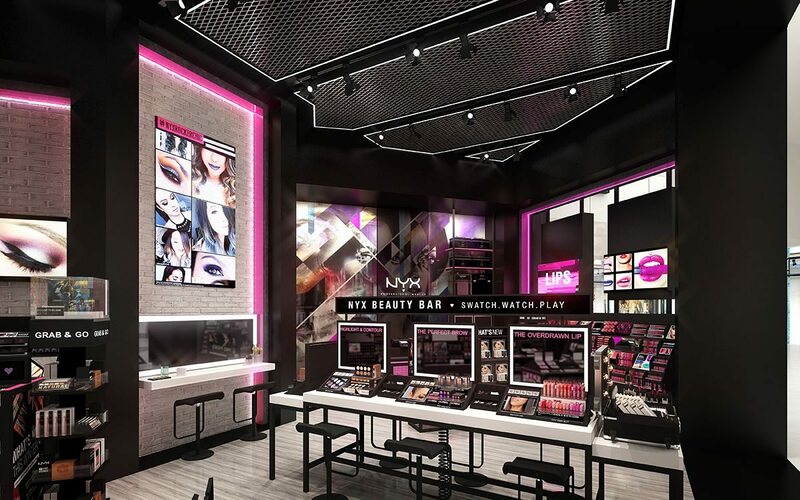 This makes the need to try before you buy immense, making it easier to see why Ulta is planning on opening 100 stores in 2017. TJ Maxx has their own unique hook. The discount retailer offers shoppers the predictability of low prices with the unpredictability of what one will find amongst the shelves. 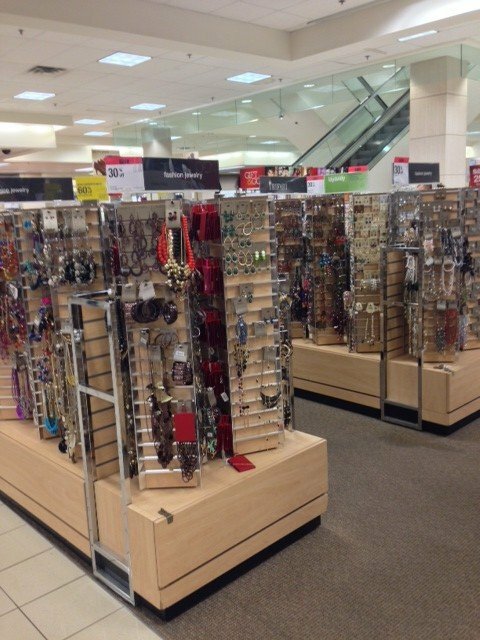 That scavenger hunt-like appeal is what gives shoppers a justification for make the trip. It’s not hard to understand why a customer would avoid a store that is associated with adjectives like dingy, outdated, and sad and embrace one that is considered inviting, unique, and beautiful. The environment of a store, along with the education, escapism, and entertainment it offers, are the factors which determine a customer’s shopping experience, according to The Retail Experience Economy. Retailers Who Are Doing It Right. Customers have not completely abandoned brick and mortar stores, but do have new standards. Retailers are at a point where they have to figure out how to use technology to merge the off-line and online experiences to create a cohesive, modern approach for shopping in a physical location. Here are a few examples of brands and their executions which elevate the level of retail expectations. Window displays are the face of a store. An eye-catching display can make a person stop, look, and enter. The Hermès’ scarf installation, created by Japanese designer and artist Tokujin Yoshioka, proves that a window display does not have to be elaborate to be effective. Each window features a screen with a model shown blowing through the screen, which is synched with a moving scarf to give the illusion of an interaction between the digital and the physical. The result is an extremely simple but powerful execution which shows off the beauty of the Hermès scarves. When it comes to clothing retailers, several brands are implementing new types of technologies to make their spaces cater to the needs and wants of shoppers. Brands like Rebecca Minkoff and Lululemon have began adapting advanced fitting rooms and interactive mirrors to create a more elevated experience. Reformation, a women’s fashion retailer focused on using sustainable methods and materials, is taking a different approach to traditional retail. The brand receives most of its sales online, but has a handful of physical locations, including one in San Fransisco which is using technology to create as little interaction as possible between shoppers and sales associates. The store has employees working at the location, but they are not the primary way of creating sales. Instead, Reformation lets technology do the work. Shoppers can browse the clothing selection and use one of the five touchscreen tablets to select which pieces they want to try on in the fitting room. The fitting rooms have a two-way system which lets employees fill them with clothing from one side and let shoppers access the pieces from another, avoiding the need to interact with a sales associate. This is an ideal environment for people who want to shop in peace without being nagged about finding a size or needing a dressing room and is also a perfect example of merging online and offline experiences. Other retailers are also relying less on actual sales associates, including a Swedish convenience store, WeChat’s BingoBox store, and the Amazon Go store. Instead of opening “large format” stores, which The Home Depot has not done in the U.S. since 2013, the company has instead been putting effort into enhancing its online and e-commerce offerings, the in-store pickup processes, employee training, and customer service initiatives. 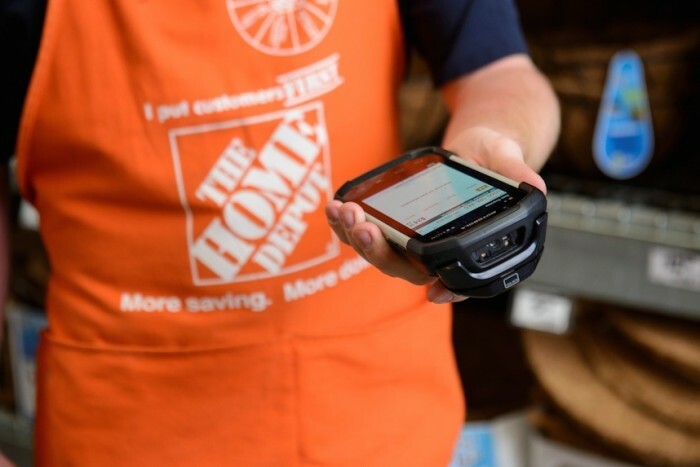 The Home Depot has invested in about 40,000 custom smartphones to support their in-store employees. The smartphones act as laser-equipped scanners for reading product barcodes to help customers find what they are looking for in store. The devices also serve as payment card readers to help create a speedier checkout for shoppers. The Home Depot has been named one of the 2017’s top 50 retail companies by The Fast Company. Lowe’s has been embracing technology through the use of in-store VR experiences. 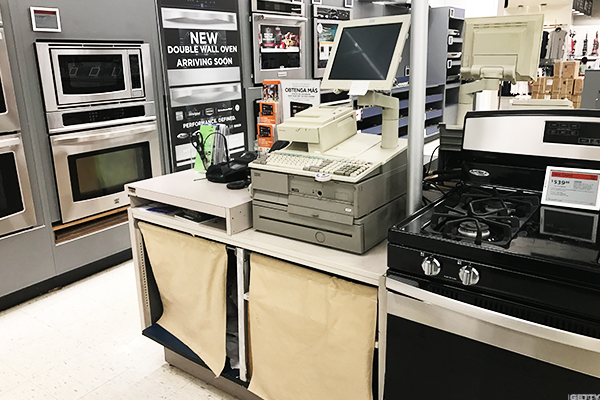 Lowe’s Holoroom aims to show shoppers how the large selection of products sold at the store can come together to create a cohesive space in their home. Associates help shoppers build a virtual room which they can then enter using a VR headset to get a better idea of how their creation would look in real life. At the end of the experience, shoppers are given a Google Cardboard headset which they can use outside of the store to replicate the experience. Adidas’ flagship store in New York City, which opened last year, is its largest and most impressive. Inspired by high school stadiums and the culture of sports, the store incorporates the theme throughout the entire space, including a tunnel entrance, stands to resemble live-game viewing, and fitting rooms made to look like locker rooms. The store also has a track and turf area which guests can use to test Adidas products. As an added bonus, a guest kiosk provides customers with juices, fitness consulting, as well as a jersey and footwear customization station. “We’ve spent a lot of time beyond the aesthetics, which, of course, is more intrinsic, in consumer services and advice we’re going to provide for athletes — advice on how to run or work out, and health and wellness”, says Simon Atkins, brand director for Adidas America. Consumers are still out there and are willing to spend their money. If they are expected to take the time to get in their cars and drive to a store, they want a little bang for their buck, and who could blame them? From the innovative retail examples explored, and countless others, it is clear that its possible to satisfy consumer’s needs for meaningful shopping experiences and is now expected of retailers. Consumers’ tastes have evolved and the retail game has changed. It is up to retailers to keep up and adapt, which will continue to be their challenge for as long as retail exists.